For high quality lock installation Carroll County, Maryland service, look no further than King Door and Lock, a well established lock and door company that delivers lock repair, installation, and rekey solutions. We offer a full and wide-ranging lock service together with straightforward pricing. Our courteous and professional techs are available 24/7 and can take care of your door and lock problems. Our lock techs fix residential locks, garage door locks, and commercial locks, and utilize only qualified lock technicians that possess a minimum of 5 years of experience in lock rekey, installation, and repair. We utilize the best and newest tools and technologies and offer expert workmanship when it comes to repairing and replacing your locks. King Door and Lock Maryland and DC is renowned for quality lock installation Carroll County Maryland service. You will definitely feel like a king or queen thanks to our priority of customer care. Whether your security needs are for your residence or office, we will give you the very best safety measures. Our speedy and affordable, expert technicians will come to your house or business to examine your security measures and recommend additional protection that will provide the top level of security for your commercial or residential property. We employ by far the most expert lock technicians in the field, each proficient in comprehensive lock solutions, door hardware, and the most desirable locksets to serve your security needs. 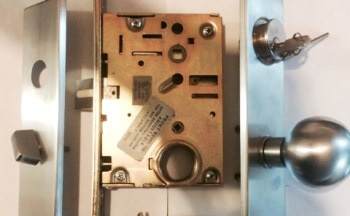 We supply the best quality locksets and up-front rates. King Door and Lock Maryland and DC supplies garage door lock installation and repair to home owners and even services commercial garages. Our company offers fast and friendly service, 24/7/365 convenience, and straightforward prices. Our experts are seasoned, knowledgeable, honest professionals keeping your security and well-being as a top priority. Renowned for safety, King Door and Lock Maryland and DC is the respected garage door lock specialist in Carroll CountyMaryland. Regardless of whether you have a wooden or metal garage door, our knowledgeable technicians can install and repair your mortise lock or rim cylinder lock. Feel free to give us a call for a free estimate! For outstanding lock installation Carroll County MD service, irrespective of whether residential or commercial, call up King Door and Lock Maryland and DC – the lock pros with all the most sophisticated technology, seasoned technicians, available 24/7. 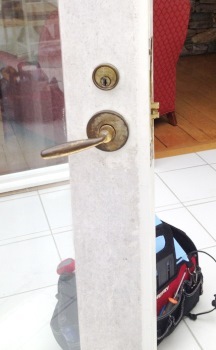 Expert Lock Repair and Installation in Carroll County Maryland! 24/7 Lock Installation Carroll County, MD Service by King Door and Lock https://kingdoorandlock.com/maryland-lock-installation/carroll-county/ 4.1/5 based upon 15 reviews.